Gottfried & Somberg Wealth Management, LLC, is a team of dedicated professionals with diverse backgrounds, working together to help make our clients’ retirement goals become reality. Joshua Gottfried CFP®, CDFA, AIF®, is a founder and principal of Gottfried & Somberg Wealth Management, LLC, an independent investment and financial services firm. Josh helps affluent clients transition into retirement. While helping clients over the past 20 years, he has earned advanced credentials to further his expertise and holds CERTIFIED FINANCIAL PLANNER™, Accredited Investment Fiduciary and Certified Divorce Financial Analyst designations. Throughout his career, his insights about investing and retirement planning have been published and quoted in The New York Times, Morningstar, Financial Planning Magazine, Investment Advisor Magazine, and other industry publications. Honored by Forbes as an elite advisor on the Forbes’ Best-in-State Wealth Advisors List for 2019; named #63 Wealth Advisor in Connecticut and #14 in the Greater Hartford area. Commonwealth Chairman's Level for 2017, a distinction based on annual production attained by just 3 percent of advisors affiliated with Commonwealth Financial Network. Josh lives in downtown Hartford with his family. They spend summers at their cottage on Cedar Island where they enjoy fishing for their dinner. He is an avid outdoorsman and reader of 19th- and 20th-century history. Before co-founding GSWM, Josh graduated from Muhlenberg College and The Loomis Chaffee School. (1) The 2019 ranking of the Forbes’ Best-in-State Wealth Advisors list was developed by SHOOK Research and is based on in-person and telephone due-diligence meetings to evaluate each advisor qualitatively and on a ranking algorithm that includes client retention, industry experience, review of compliance records, firm nominations, and quantitative criteria (including assets under management and revenue generated for their firms). Overall, 30,000 advisors were considered, and 3,500 (11.6 percent of candidates) were recognized. Winners are organized and ranked by state. Some states may have more advisors than others. You are encouraged to conduct your own research to determine if the advisor is right for you. Portfolio performance is not a criterion due to varying client objectives and lack of audited data. SHOOK does not receive a fee in exchange for rankings. SHOOK does not receive a fee in exchange for rankings. The full methodology that Forbes developed in partnership with SHOOK Research is available here. Based on 10 objective eligibility and evaluation criteria, including a minimum of 5 years as an active credentialed financial professional, favorable regulatory and complaint history, accepts new clients, client retention rates, client assets administered, education, and professional designations. 3178 Connecticut area wealth managers were considered for the award; 293 (9 percent of candidates) were named 2018 Five Star Wealth Managers. (The criteria provided reflect the most recent year for which advisor received the award. The criteria used, the number of wealth managers considered for the award, and the percentage of those who receive the award may vary from year to year). For more information, please visit www.fivestarprofessional.com. These awards are not indicative of the wealth manager's future performance. Your experiences may vary. Matthew Somberg is co-founder and principal of Gottfried & Somberg Wealth Management, LLC, an independent investment and financial services firm that provides sophisticated wealth planning and investment management strategies to individuals and small institutions. Since 2000, Matthew has worked with a wide variety of affluent clientele and their families, including physicians, business owners, educators, and serious investors. Matthew divides his professional time between taking care of a small group of clients, working closely with his clients' estate planning attorneys and accountants, and leading a team of advisors within the firm. In 2019 Matthew was honored by Barron’s and Forbes as an elite advisor by both publications for the second year in a row. On the Forbes’ Best-in-State Wealth Advisors list for 20191, Matthew was named #15 Wealth Advisor in Connecticut and #4 in the Greater Hartford area. On the Barron’s list of America’s Top 1,200 Financial Advisors for 20192, Matthew was named #22 of thirty six Wealth Advisors in Connecticut and #3 in the Greater Hartford area and #1 for Independents. Commonwealth Financial Network’s Chairman's Retreat, which honors Commonwealth advisors nationally based on annual production every year (2010-present). In 2017, 3 percent of advisors affiliated with Commonwealth were recognized. Matthew holds the Accredited Investment Fiduciary® (AIF®) designation. He maintains client relationships and registrations to practice and serve clients in many states throughout the country. Matthew is an honors graduate of Brandeis University, with degrees in both economics and history. He is a member of the Phi Alpha Theta National Honor Society, and his writings on the effects of North American Free Trade Agreement have been published. Board Member of the Connecticut Children’s Medical Center (CCMC) Foundation. He is a devoted husband to his wife, Amy, and father to his three kids, Ella, Eli and Cooper. They reside in South Glastonbury, Connecticut. He is a registered representative of Commonwealth Financial Network®, member FINRA/SIPC, an independent broker/dealer. (1) The 2019 ranking of the Forbes’ Best-in-State Wealth Advisors list was developed by SHOOK Research and is based on in-person and telephone due-diligence meetings to evaluate each advisor qualitatively and on a ranking algorithm that includes client retention, industry experience, review of compliance records, firm nominations, and quantitative criteria (including assets under management and revenue generated for their firms). Overall, 30,000 advisors were considered, and 3,500 (11.6 percent of candidates) were recognized. Winners are organized and ranked by state. Some states may have more advisors than others. You are encouraged to conduct your own research to determine if the advisor is right for you. Portfolio performance is not a criterion due to varying client objectives and lack of audited data. SHOOK does not receive a fee in exchange for rankings. The full methodology that Forbes developed in partnership with SHOOK Research is available here. (2) To compile its annual list, Barron’s, a leading financial publication, uses data provided by some of the nation’s most productive advisors. Barron’s takes a number of criteria(a) into account for this state-by-state ranking, including assets under management(b); revenues generated by advisors for their firms; quality of practices, which includes examination of regulatory records; and philanthropic work. Overall, 4,000 advisors were considered, and 1,200 (30 percent of candidates) were recognized. The list includes both Registered Investment Advisers and Investment Adviser Representatives; some states may include more advisors than others, in proportion to state populations. (a) Investment performance is not a criterion. As COO, Lisa works behind the scenes to optimize the smooth operations of our workflow processes, HR, financials, technology, compliance, legal, infrastructure and vendor relations. Lisa’s 10 years of experience in the financial services industry includes advisor expertise as a CERTIFIED FINANCIAL PLANNERTM practitioner and managing two Fidelity branches as a branch service manager. Dan Heffernan, RICP®, is a Retirement Income Certified Professional who joined Gottfried & Somberg Wealth Management, LLC, in May 2006. Dan graduated with honors from Northeastern University, where he earned his bachelor's degree. As an experienced financial professional, Dan vicariously retires dozens of times a year—taking clients’ retirement personally and helping them pursue the financial goals they’ve invested in for decades. Specializing in income planning and investment analysis, Dan has a unique blend of interpersonal skills and financial planning abilities. His work brings together several aspects of asset management and retirement planning into a cohesive financial plan, providing clients with a single, unified course of big-picture action all in one place. Dan holds numerous professional certifications and registrations, including FINRA Series 6, 7, 63, and 65 securities registrations through Commonwealth Financial Network®, and his Connecticut life and health insurance licenses. Dan is a Registered Representative of Commonwealth, member FINRA/SIPC, an independent broker/dealer. Dan currently resides in Wethersfield with his wife Tiare and dog Stewart. Based on 10 objective eligibility and evaluation criteria, including a minimum of 5 years as an active credentialed financial professional, favorable regulatory and complaint history, accepts new clients, client retention rates, client assets administered, education, and professional designations. 3178 Connecticut area wealth managers were considered for the award; 293 (9 percent of candidates) were named 2018 Five Star Wealth Managers. (The criteria provided reflect the most recent year for which advisor received the award. The criteria used, the number of wealth managers considered for the award, and the percentage of those who receive the award may vary from year to year). These awards are not indicative of the wealth managers' future performance. Your experiences may vary. For more information, please visit www.fivestarprofessional.com. Jim DeMartino, CFP®, joined Gottfried & Somberg Wealth Management, LLC in October 2009. Jim is a CERTIFIED FINANCIAL PLANNER™ professional with 18 years' experience in the financial industry. Jim is committed to providing every client with superior, impartial financial planning advice that is specific to each individual’s unique circumstances—and to communicating that advice in straightforward, easy-to-understand language. Jim specializes in retirement income planning, and is exceptionally knowledgeable about the many complex intricacies of both the CT State Employees Retirement System and the CT Teacher Retirement System, as he has helped shepherd hundreds of clients through the often daunting retirement process. Jim is also involved in all other areas of financial planning, including investment management, insurance and estate planning. Jim's knowledge of the various aspects of financial planning, combined with his strong organizational skills and his personable, welcoming style, make him a joy for our clients to work with and a valuable member of our team. In addition to his CFP® certification, Jim holds FINRA Series 7 and Series 66 securities registrations through Commonwealth Financial Network®, and is insurance-licensed for, and well-versed in, life insurance, variable life, annuities, and long-term care insurance. Born in Lancaster, Pennsylvania, Jim has resided in Connecticut for the past 15 years, and lives in Glastonbury. In the 1980s Jim earned a BFA from the School of the Art Institute of Chicago and his MFA in painting from Yale University, where he also taught for five years. In his spare time, he enjoys painting and drawing, traveling, listening to all kinds of music, and playing guitar. Ryan Olschefskie, RICP®, joined Gottfried and Somberg Wealth Management, LLC, in September 2015. Ryan is a Wealth Advisor and Retired Income Certified Professional with more than 20 years of experience in the financial services industry. 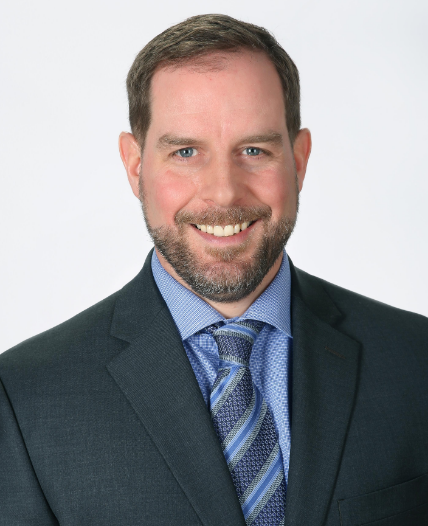 As a wealth advisor and RICP® designee, Ryan works very closely with his clients in reviewing their current and long-term investment and financial needs. He keeps consistent and timely communication with his clients to make sure they are informed of any investment or portfolio updates. He also specializes in retirement income planning and walks his clients through the process to ensure they are able to understand and address all potential risks that may arise in retirement, whether it be from an investment or income planning perspective. He holds numerous professional financial registrations, including FINRA Series 6, 63, 66, 7, and 9/10 (held through Commonwealth Financial Network®) and is insurance-licensed in life insurance, variable life, and annuities. He graduated from Central Connecticut State University with a bachelor’s degree in business management and was a member of the Golden Key National Honor Society. Ryan was born and raised in Manchester, Connecticut, and now resides in Glastonbury. He is a devoted husband to his wife, Kate, and father to their two children, Avery and Spencer. He has supported various charities and foundations including the Leukemia and Lymphoma Society with Team in Training, Special Olympics Connecticut, and the American Cancer Society. He is an avid marathon runner and likes to golf, but, most important, he enjoys spending time with his family. Kathleen Erickson, RICP®, joined Gottfried & Somberg Wealth Management, LLC, in November 2012. Kathy is a wealth advisor and Retired Income Certified Professional with more than 30 years of experience in the financial services and insurance industry. 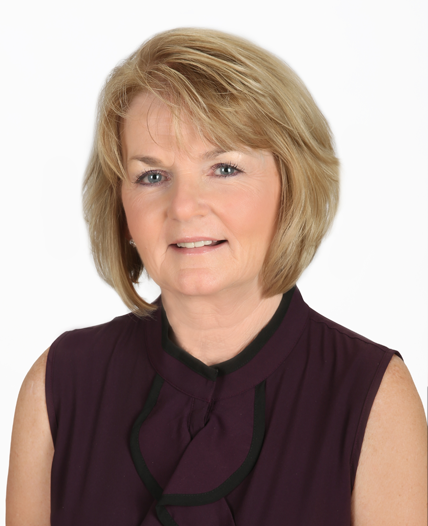 Kathy assists all types of clients with their financial planning and investment needs. Her focus is on client relationships and is trained on transitioning from asset accumulation to creating a sustainable livelihood for her clients in their retirement. She is responsible for meeting with clients, researching client issues, preparing and presenting financial plans and updates. Kathy also has extensive knowledge with the Connecticut Teachers Pension plan and provides consulting services to pre- and post-retiree educators on their overall retirement plan. Kathy holds the FINRA Series 7, 24, 63, and 65 securities registrations and her Connecticut Life & Health Insurance license. She is also certified with the Connecticut Partnership for Long-Term Care. Kathy and her husband, Steve, are residents of Manchester, Connecticut and have three children – Christine, Kyle, and Blake. In her spare time, Kathy enjoys sailing, cooking, and spending time with family and friends. Taylor is a CERTIFIED FINANCIAL PLANNER™ with more than five years of experience in financial planning. Her expertise includes helping retiring educators coordinate their pensions and various benefits into holistic retirement plans. Working closely with Josh and Jim, she ensures clients receive the best possible service and experience. In addition to working directly with clients, Taylor focuses on all aspects of investment research, analysis, and reporting. She also executes all trades and maintains the model portfolio management system for Josh’s clients. In addition to her CFP® certification, Taylor holds numerous professional registrations, including FINRA Series 7, 63, and 65 securities registrations through Commonwealth Financial Network®, and the Connecticut Life and Health insurance license. She attended Miss Porter’s School in Farmington, and graduated from Hamilton College in Clinton, New York, with a bachelor’s degree in both mathematics and comparative literature. Outside the office, Taylor enjoys traveling, keeping active, and spending time with family and friends. She is also an avid foodie and loves all things French after studying abroad in Paris. Steven Draczynski joined Gottfried & Somberg Wealth Management, LLC, in June 2018 as a Wealth Advisor. Steve has over 18 years of experience in the financial services industry that includes working as a Financial Consultant for Fidelity Investments. As a wealth advisor he provides retirement income planning and investment guidance to help clients with current and future financial goals. This entails walking clients through a thorough process to make sure they are well educated and aware of the key risks they can face leading up to and in retirement. He holds several professional registrations including FINRA Series 7, 63 and 66. In addition he is insurance licensed in life insurance, variable life and annuities. He graduated from the University of Connecticut with a bachelor's degree. Steve was born and raised in Harwinton, Connecticut and now resides in Ashford. He is married to his wife Tiffany, and has two daughters, Ava and Taylor. In his spare time Steve enjoys working around the house, skiing and traveling with his family. He is passionate about several charities and foundation including the 22q Family Foundation, American Childhood Cancer Organization, St. Jude, and the Connecticut Children's Medical Center. Jim’s professional background is unique in its breadth of experience, encompassing both investment management and financial planning roles. He has functioned as an equity analyst for a long/short hedge fund, a wealth manager at a national financial planning firm, a VP of portfolio management at a Registered Investment Advisor (RIA) firm and, for the last five years, as founder and president of Peak Point Capital Management, LLC. Jim merged his firm with Gottfried & Somberg Wealth Management, LLC in December 2018, and brings 20 years of investment management experience to our team and is a CFA® Charterholder and a CFP® Practitioner. Jim’s most important role is as a husband and father of four. He has three teenage children, Kristen, John, and Molly, and one precocious three-year-old, JJ. He is active in his community and heads the financial literacy program for CFA Society Hartford, where he is a member of the Executive Board. He also chairs the investment committees for two charitable advisory boards. For recreation, Jim enjoys outdoor activities like hiking, fishing, skiing, running, and especially mountain climbing. He has many Adirondack and White Mountain peaks under his belt (over 30), and his dream is to become an Adirondack 46er (by ascending all 46 Adirondack peaks above 4,000 feet) and to climb Mt. McKinley. Nicholas Hogrefe began his career at Gottfried & Somberg Wealth Management, LLC, in June 2011. In his current role as Senior Research Analyst, Nick manages the investment research and selection process. He also works closely with advisors to integrate our clients' goals with their portfolios and oversees the model portfolio management system. Nick received his bachelor’s degree in finance from the University of Connecticut and holds his FINRA Series 6, 7, 63, and 65 securities registrations. He is a Chartered Financial Analyst charterholder, a CERTIFIED FINANCIAL PLANNER™ professional and belongs to the CFA Society of Hartford. In his spare time, Nick enjoys watching football and staying active. He lives in South Glastonbury with his wife Kayla. Kenneth Conte joined Gottfried & Somberg Wealth Management, LLC, in 2017. A native of Guilford, Connecticut, Ken is a graduate of the University of Rhode Island, majoring in finance. As a Paraplanner, Ken works closely with Josh, Jim, and Taylor conducting investment and financial research, analysis, and reports for the personalized needs of their clients. He also oversees trading and maintains our model management system. Ken is a CERTIFIED FINANCIAL PLANNER™ professional and Chartered Retirement Planning CounselorSM. He holds the FINRA Series 7 and 66 securities registrations through Commonwealth Financial Networks® and his Connecticut Life & Health Insurance license. Ken has a diverse background in financial planning, risk management, and pension plans. In his spare time, Ken enjoys cooking, traveling, reading, and staying active through sports and exercise. Kim began working with Gottfried & Somberg Wealth Management, LLC, in August 2009 as Director of Operations. A native of Rhode Island, Kim has more than 40 years of experience working in the financial service and insurance industries. She holds numerous professional financial registrations, including FINRA Series 6, 7, 24 and 63 through Commonwealth Financial Network®. Kim serves as the executive assistant to Matthew Somberg and Joshua Gottfried. She is responsible for their client new accounts, transfers, cashiering, and scheduling. Additionally, she actively assists clients with their home and auto insurance needs and also holds life and long-term care licenses. Kim is an avid golfer and racquetball player and enjoys traveling and spending time with her granddaughters, Madison and Kacey. Iris joined our firm in November 2018 as a Private Wealth Relationship Manager. A graduate of University of Connecticut with a bachelor’s degree in marketing, she has more than 20 years of experience in insurance and financial services. Iris holds the FINRA Series 6 & 63 licenses and her CT Insurance license. Iris has extensive experience servicing clients and their accounts, and assists Wealth Advisors Jim DeMartino, Kathleen Erickson and Dan Heffernan and their clients with new accounts, transfers, cashiering, and scheduling. Iris lives in Glastonbury with her two sons and two dogs. She enjoys the beach and can be found there most summer weekends. 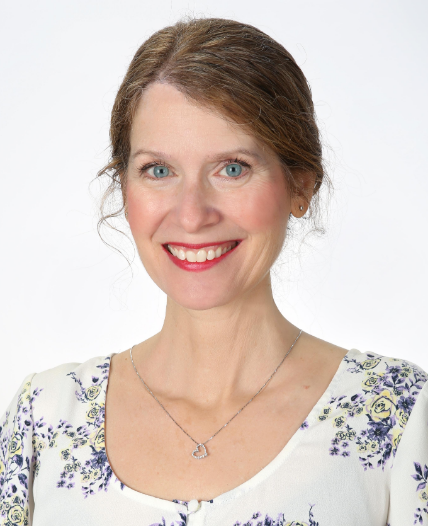 In her spare time, Iris enjoys traveling to many warm locations, crocheting various projects, and cooking new, healthy recipes for her family and friends. Kathleen Centola joined Gottfried & Somberg Wealth Management, LLC, in June 2013. Kathy is our Marketing Director. As the Marketing Director, Kathy is responsible for our retirement workshops, client events, community G&S Give Back events, and G&S team outings. She manages all details from the event idea, the venue, the marketing material and hospitality that results in a high-quality experience for our attendees. She also designs and publishes our semi-annual newsletter. Kathy graduated from Northeastern University with a bachelor’s degree in economics. She has more than 30 years of experience in retail management and operations. She started her career with Napier, a jewelry designer and manufacturer, where she co-developed a factory outlet operation that included 12 stores in 10 states. Most recently, Kathy worked with Brooks Brothers analyzing and forecasting sales and financial plans in stores across four European countries. Outside of work, Kathy enjoys gardening and golfing with her husband, Glenn. Melinda joined Gottfried & Somberg Wealth Management, LLC, in May 2017 as our Wealth Management Services Concierge. Melinda has a diverse background; from theatre performance to over five years' experience in financial services. Melinda’s smiling face greets our clients and makes them feel welcome the moment they walk in the door. She’s both the face and the voice of our firm as she schedules client appointments, and she keeps our office running smoothly.